Laundry day. 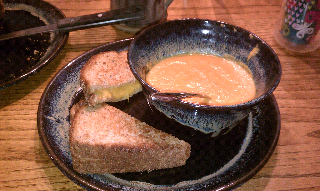 Carrot-tomato soup thanks to Soule Mama. And a last minute romp in the rain. Not the smoothest day, but turns out we love each other and that is what counts!